Foolish or Wise? Which Will It Be? There are no shortage of ‘opinions’ today. People seem to grow more ‘opinionated’ every day…and show it–with gusto! Having an ‘opinion’ is not necessarily good…nor is it necessarily bad! One thing we can all agree on, however, is that ‘just because I think it, doesn’t mean it’s right–or certainly smart, wise, or ‘right’. There are many people who are ‘spouting off’ their opinions–from the most powerful to those with a very small circle of influence. Influence, however, does not make one ‘wise’. Because you may have ‘Followers’, that doesn’t mean that you have ‘wisdom’. The Scriptures provide the answer. The book of Proverbs, by itself, is a great guide. Even one chapter–Proverbs 18–provides much to learn from. The point is that simply ‘going off’ and ‘venting’ is not ‘Wisdom’. Any ‘fool’ can do that. Any fool can “feed on trash”…and we all know that there’s LOTS of ‘trash’ to choose from! So, how can I know? How do I know true ‘wisdom’? How do I know if I have it, or if those I listen to have it? Again, the Scriptures provide the answer. If you are trying to be ‘smart’ or ‘wise’, but do not fear (revere, worship, stand in awe) of God, you may be many things. You may be learned, you may be experienced, you may be well-schooled, but you are not “wise”. True ‘Wisdom’ must…simply must…come from God, who is the only truly ‘Wise’ One there is! 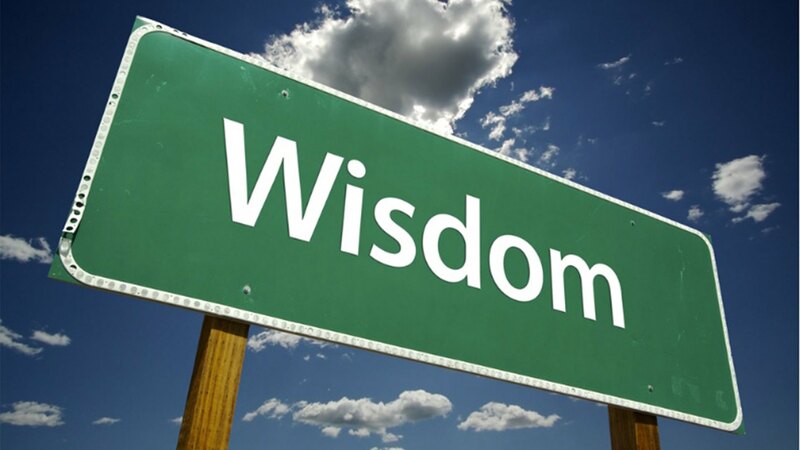 Don’t settle for the ‘wisdom’ of this world–that is a dead-end street. Instead, go to the Lord for true Wisdom. He will guide you, keep you on track, and help you know who’s ‘opinions’ are worth listening to…and who’s aren’t! Previous Post No Rest for YOU!